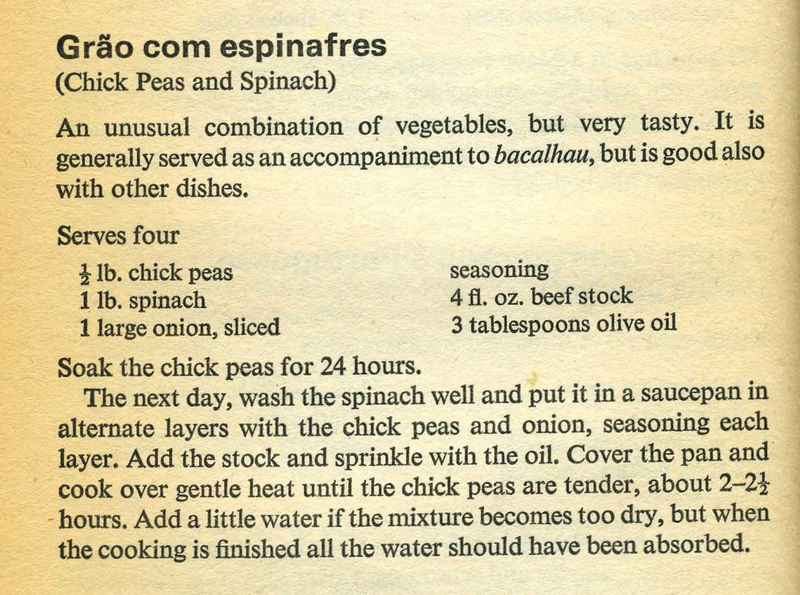 This is from the Penguin book of Portuguese Cooking and was one of the hot dishes for the Eurovision party. I did not serve it with bacalhau, as I do not like it much. I have eaten this delicious dish in Porto, in its native country, and fancied creating it at home. The recipe is from Portuguese Cookery by Ursula Bourne (Penguin, 1973) and features a very simple ingredient list, which as I’m on a rather tight budget at the moment appealed.